Welcome to the Super 8 San Luis Obispo, CA. The motel is easily accessible from Hwy 101 north and south. The Super 8 is the best value on Monterey Street. 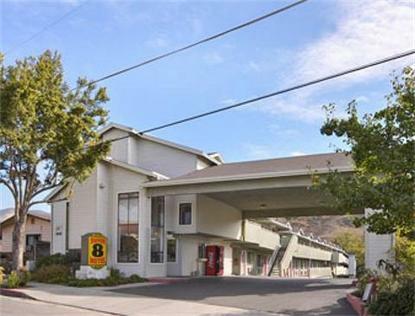 The motel is centrally located to all major attractions and next door to historic downtown San Luis Obispo, CA. Famous Hearst Castle is only 38 miles away, with wineries and beaches within minutes of the property. Cal Poly University and Performing Arts Center is within easy walking distance. The Super 8 offers a Free SuperStart breakfast every morning and an outdoor swimming pool, all guestrooms have free high speed internet access, microwaves, refrigerators, iron and ironing board, hair dryers, alarm clock radios, 27inch TVs with cable and HBO channels. We do allow pets for a 10.00 dollars per night fee. Make your reservations today and we look forward to seeing you soon.